A great box for organising items in the garage or loft. The clips on the box ensure that the lid is securely held closed and with the holes lined up you can use a cable tie or padlock to prevent it being opened. 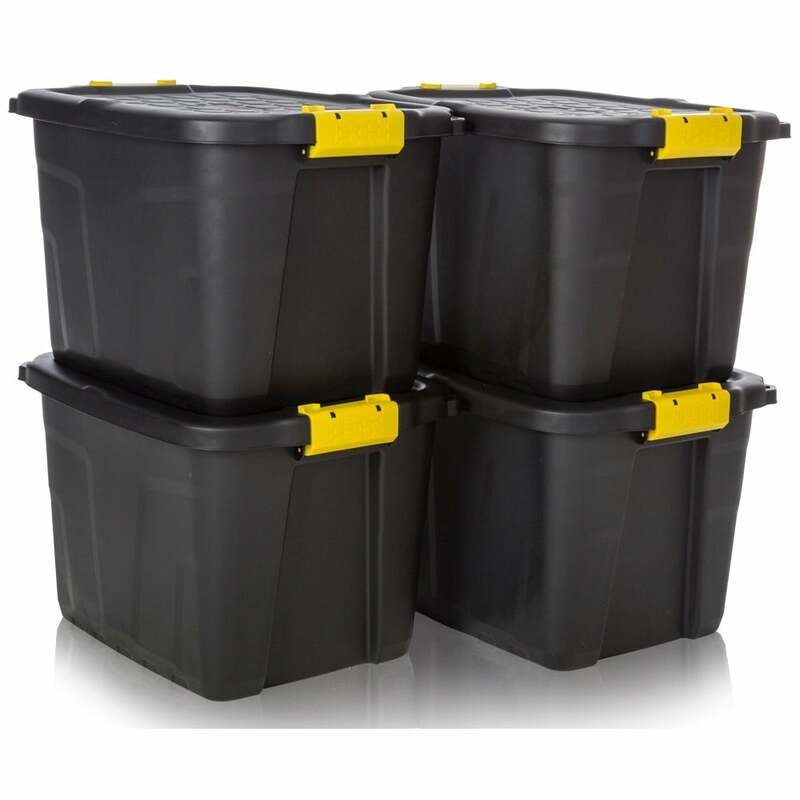 The boxes can stack on top of each other with the lids on and can nest together with the lids off when they are not in use. Showing 2 of our total 18 reviews, with an average rating of 5 stars. Read all 18 reviews for ST Pack of 4 - 42 Litre Heavy Duty orage Trunk Black/Yellow. Top quality product very sturdy. Couldn't buy from anywhere these Guys have lots of various stock available. Strong robust would highly recommend for the garage.